When you buy a new smartphone especially an Android-based smartphone, it works really well and fast in the beginning but as you spend more time with it, it feels like the processing speed reduces somehow. Most people have no definitive statistics to support their sixth sense that there is something wrong with the smart phone’s speed but it’s a well-known fact that with more use, an android based smartphone gets heavy and reduces its performance. If you also have the same problem, there is no need to panic. You don’t need to go to a service and repair shop if there is no hardware problem with the mobile if running slow. In fact, you can just solve most common speed related problems within few minutes. Take a look at below key steps and bring your Android phone up to speed as it was when you first set it up. If there is not enough space on your smartphone even if the RAM is mostly empty, it can reduce the speed of your mobile. What you need to do here is to check which applications you haven’t used in a while and then just remove those applications. On one hand, this will free up some space for new programs where on the other hand, it will also increase the speed of your smartphone. In the same manner, remove the old and unused widgets from the desktop as well. If you have installed any animations or live wallpaper, it’s also wise to remove them too. This particular step is mostly ignored by people who don’t understand why it’s important to keep cache memory minimize and how a browsing history or cookies can affect the overall performance of a smartphone. When you use an application, it leaves some data on the processor’s cache and soon there is no more space left for processing. This is why you should frequently clear the cache memory and browser cookies. If the browsing history is not very important, it is also recommended to clear the history at least once a month. When you use an application and just minimize it, it keeps running in the background. This will not only drain the battery quickly but it will also leave less and less space on the RAM thus making the smartphone freeze and decrease the processing speed. Whenever you use an application and you are done with it, make sure to close it properly and just to be extra careful, go to settings and stop the unwanted apps from running in the background whether the screen is on or off. This is something that most people ignore just because they assume the software update will not do anything to the processing of the mobile. 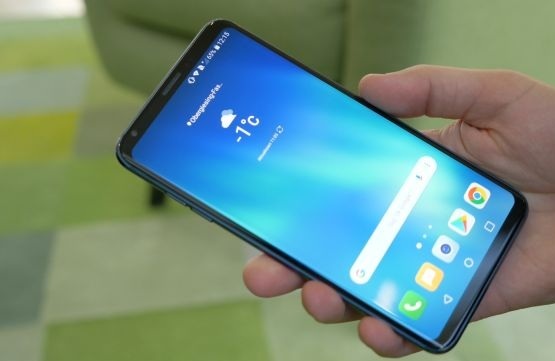 This is, in fact, something very interesting because with each new update to the operating system, the builder or developers try to tweak little things, remove bugs and enhance the overall performance of the smartphone. Most of the time when a smartphone drains the battery quickly, it is solved simply by updating the operating system. If your mobile phone is freezing or not working at full speed, check the settings and see if there is any operating system update available. If there is, in fact, any update, only download it over Wi-Fi because it’s usually a large file and it can cost you the fortune if you download it over mobile data. This is the last thing that you want to do because when you root the phone, there is always some chances that an error will occur and it can damage the software or even hardware of your smartphone. If none of the above tips could help your phone to increase the speed, the last option is to root the phone or just factory restore everything. This way you can make sure to delete everything that you installed on your smartphone and take it back to the way it was built by the manufacturer. Keep in mind that when you root or factory reset your smartphone, everything will be erased including your contacts, text messages, media files, browsing history and installed apps. It would be better to create a backup of important stuff before you factory reset the mobile.